Escape your everyday routine and discover the unexpected beauties of Southeastern Minnesota! In Historic Lanesboro you can discover a slower pace of life with no chain stores, fast food franchises, or stop lights. This quaint town site offers invigorating outdoor adventures, breathtaking views, rich artistic and cultural experiences, tours, unique shopping, locally grown foods, wine and fine dining. Lanesboro has cultivated the art of living well - come and experience small town life at its best! Art enthusiasts can find exciting treasures in the hills and valleys of Bluff Country during this annual self-guided studio art tour. 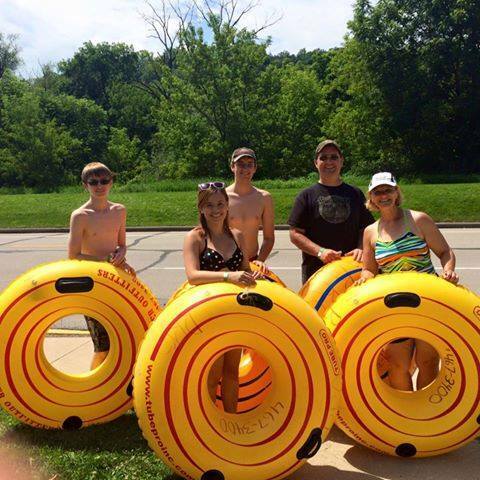 Cedar Valley Resort offers rentals for canoes, kayaks,tubes, bikes, cross-country skis, sno-shoes and sno-tubes.. Shuttles also available. We offer 3, 4, 6 & 8 bedroom deluxe cabins sleeping from 2 - 38 guests. We offer a perfect setting for friends, reunions, girls get-a-ways, and retreats. Located by the Root River and bike trail.